Agricultural Landscape In Asia With Rice Fields, Farmers Village Agricultural Land With Sown Green In Countryside. 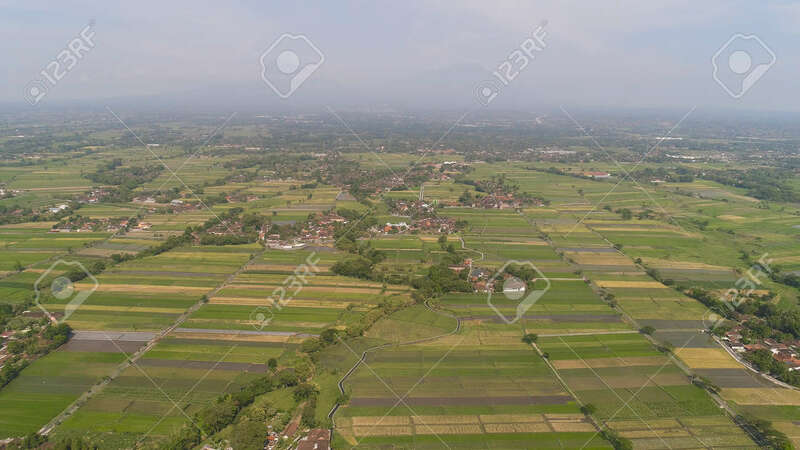 Farmland With Agricultural Crops In Rural Areas Java Indonesia. Land With Grown Plants Of Paddy Lizenzfreie Fotos, Bilder Und Stock Fotografie. Image 115259691.